STARS! Learn to read constellations in the night sky in a fun, different way. Great for scouts, camps, star parties, astronomy activity! 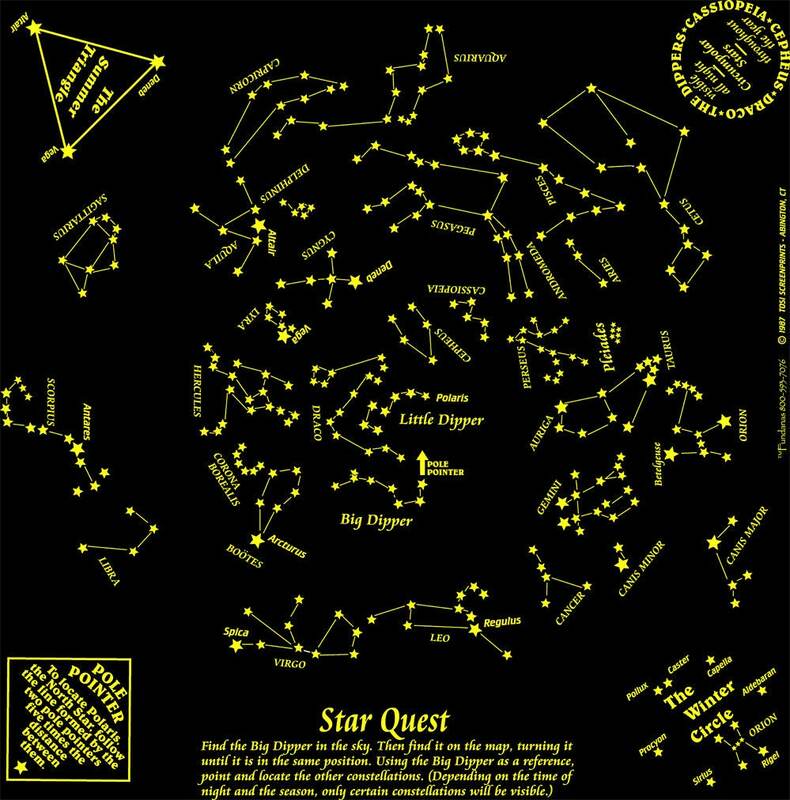 Our Star Quest constellation Fundana contains 33 of the most commonly known constellations and is a simple, fun way to learn to read the night sky! It is printed on a 100% cotton Made in USA bandana. The Star Quest is washable, reusable, easy to carry and won't get destroyed if it gets wet or dirty. Great for Scouts, Star Parties, Camping and more. A unique, easy way to introduce kids of all ages to the wonders of Astronomy! These durable, washable bandanas are perfect for "breaking the ice" when stargazing. Shipping is FREE to addresses in the United States! My Girl Scouts loved them! fast shipping - great gift! This was a gift. Fast shipping. Thank you!